Japan can be a wonderful place to travel in. The people are friendly and tolerant of photography and it is one of the safest countries in the world. Many Japanese speak English very well and most speak at least some English. Still, it’s a good idea to know at least some Japanese words. Japan has an ancient and distinctive culture that is intact, offering many ancient places and remarkable experiences. At the same time, the countryside is very varied with memorable landscapes and wonderful wildlife. 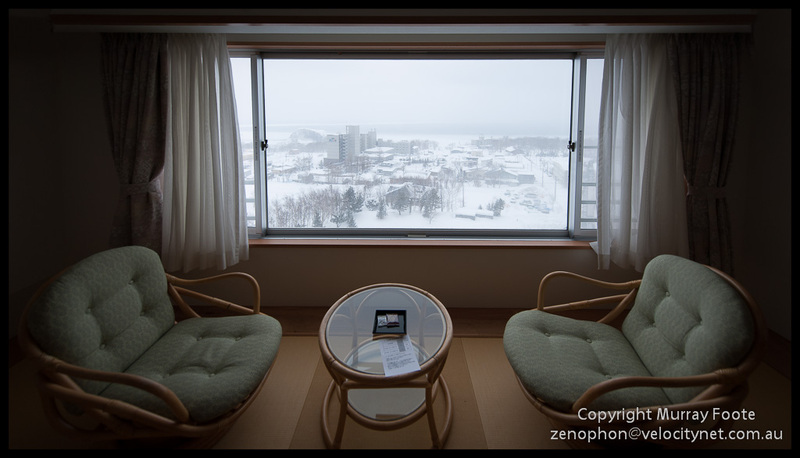 Some people go to Japan and expect to stay in Western-style hotel rooms and eat Western-style food. Those people are really missing out. Sometimes it’s necessary to stay in hotels and they can be very good but it’s the traditional Japanese ryokans that offer the best experiences. It can be a cross between staying in an historic dwelling and a family home. Japanese food is very varied. I didn’t find all of the cheaper options sensational but Japanese meals can be exquisite. If you don’t try a variety of options you’ll never know what you missed out on. Many ryokans and hotels include onsen or thermal baths and in some places there are private onsen available from the street. In many cases these use natural thermal water. They can be either private or communal and in the latter case will be segregated by gender. 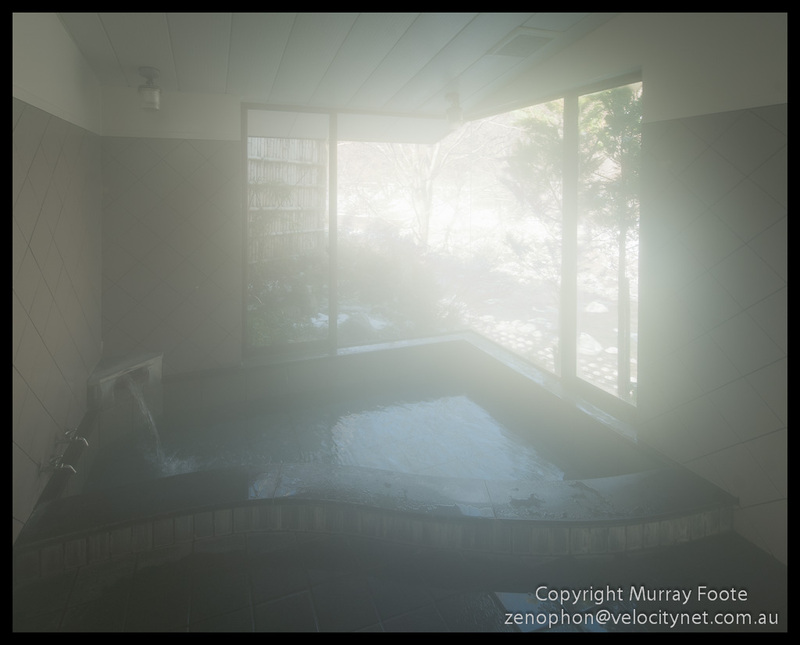 Some places I went to had thermal baths that were open to the outside elements and in a couple of occasions I was able to relax in one of these and watch the snow slowly descend in the -10°C night (14°F). I worked out that the key here was to warm up first in an indoor pool. The trains in Japan are incredibly efficient and the bullet trains are a delight. If you’re going to be traveling widely in Japan it can be a good idea to get a Japan Rail Pass, which you have to purchase before you leave. There is also a complete set of rail timetables available on the web, which can be very useful. You don’t want to be struggling with too many large and heavy bags on the train, though. There’s not much storage space and it’s not necessary. The Japanese have a wonderful system called Takuhaibin services whereby for a modest charge you can send your heavy luggage on from one ryokan or hotel to the next. Trains and walking are generally the best ways to get around. Buses are often available and taxis can be fairly cheap, though not necessarily to and from the airport which can be a long way. 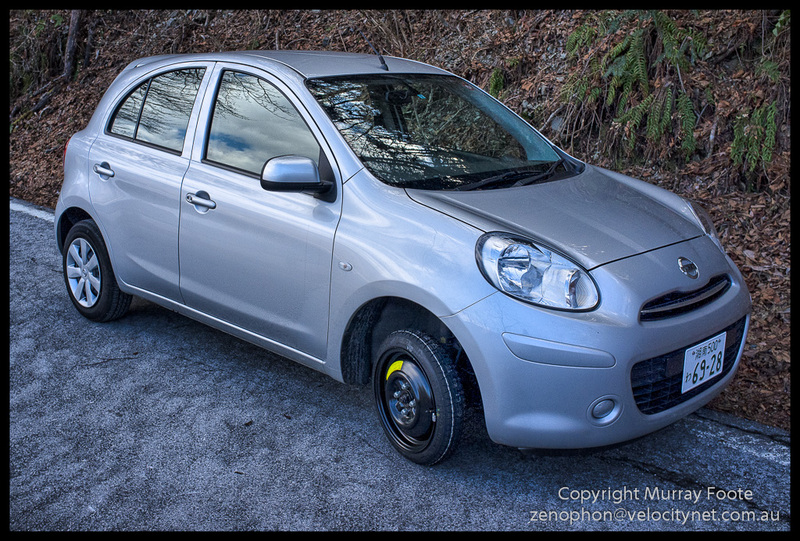 Rental cars can be an option in country areas, but not, for example, in Tokyo. It probably helps if you’re used to driving on the left hand side of the road and navigation can be a problem so an English-language GPS is probably essential. I took along a GPS with a Japan map. 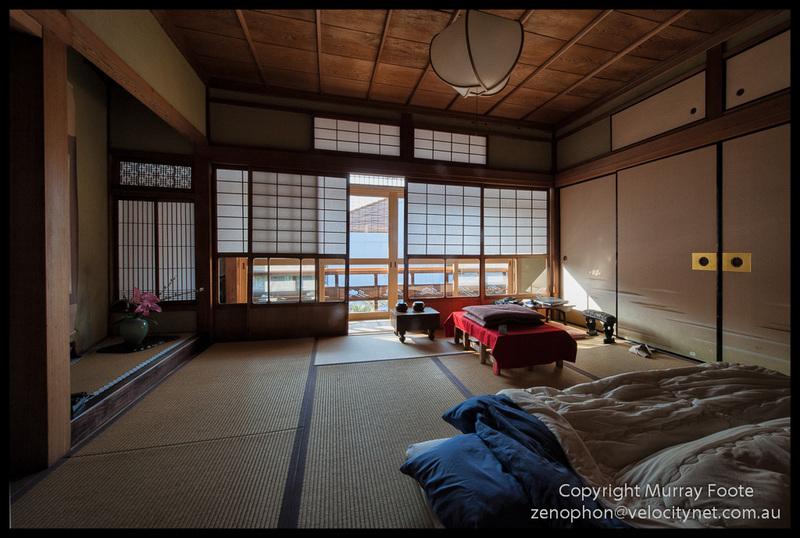 In a town such as Kyoto I’d first make sure I had saved the location of my ryokan or hotel. Then after walking around for many hours I could turn to the GPS and ask it “How do I get back to where I’m staying?”. Weather can be quite varied according to what end of the country you are in and the season. I found a site which lists historical weather in Japan for many towns by month from 1946. This meant I could know before I left what the likelihood of rain or snow was in a particular place and time of year, as well as what the worst and the best the weather could be. This helps in knowing what clothes to bring. 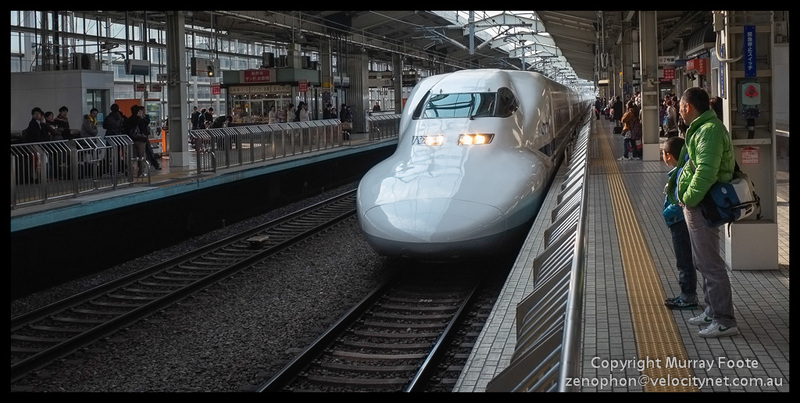 This entry was posted in Japan and tagged bullet train, Japan, onsen, Photography, ryokan, Takuhaibin services, Travel, Weather. Interesting, competent, useful and superbly illustrated. A most enjoyable read. The first photo looks like a woodcut -wonderful! 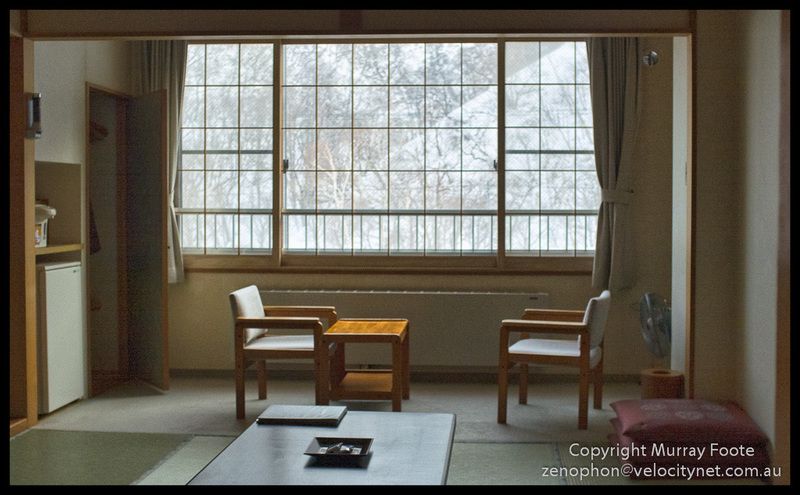 That’s at the Zen temple where I was able to stay when I first arrived in Japan, in Kyoto. It’s pretty much a view from outside my room. I was starting to prepare some monochrome conversions for my next post, my last post in Japan, and I decided it belonged better in this post. The effect simulates an ambrotype, a photographic process from the 1850s that replaced the daguerrotype and just seems particularly appropriate for this image, which has no clues to modernity. 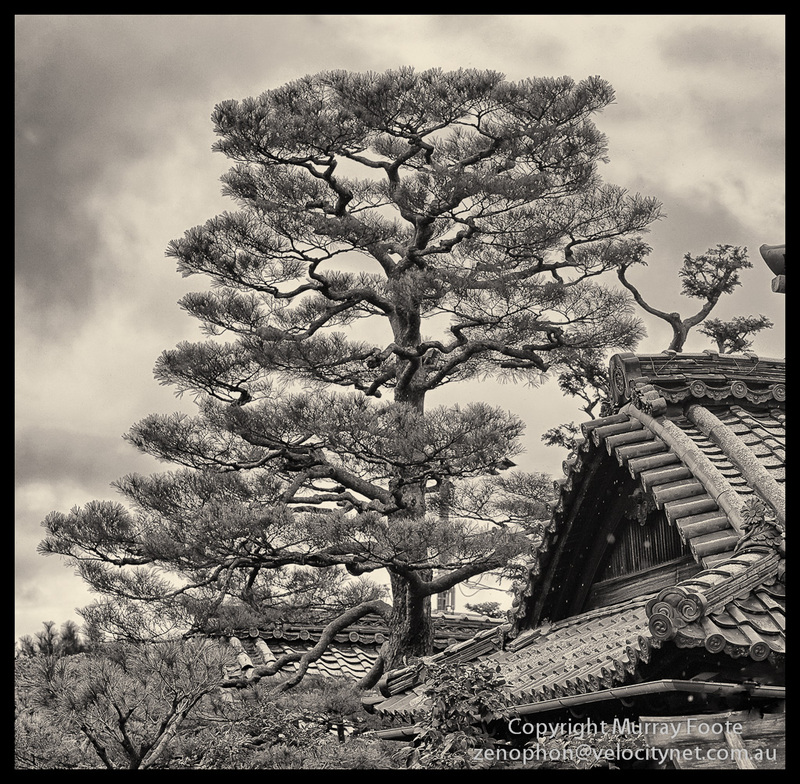 I think it works much better than the colour image (https://murrayfoote.com/2012/01/28/27th-to-29th-january-kyoto-shunko-in-and-myoshin-ji/).